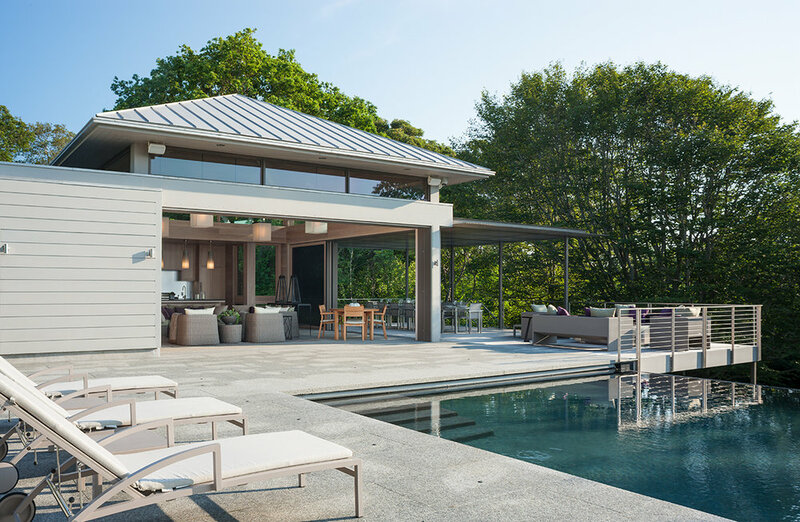 Set in the backyard of a Foster Associates renovated Cape Cod house, the goal was to create a destination and capture the panoramic ocean views. 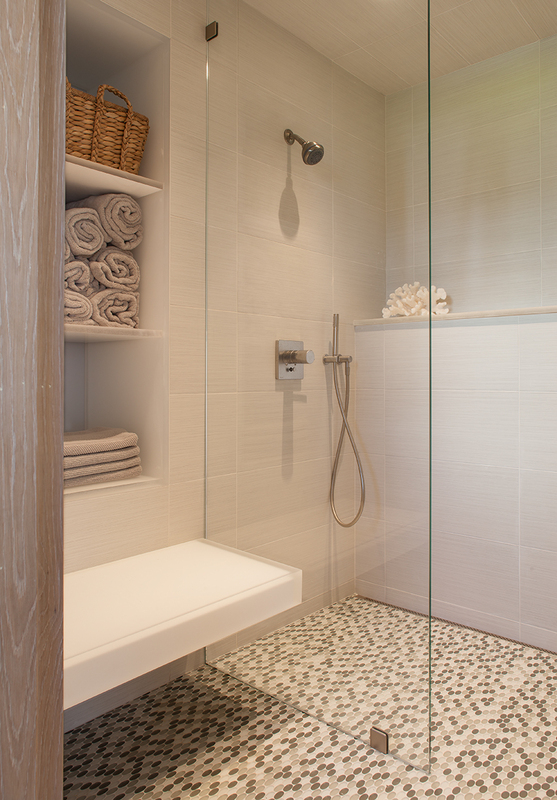 The clients wanted an indoor/outdoor space to host family and friends. 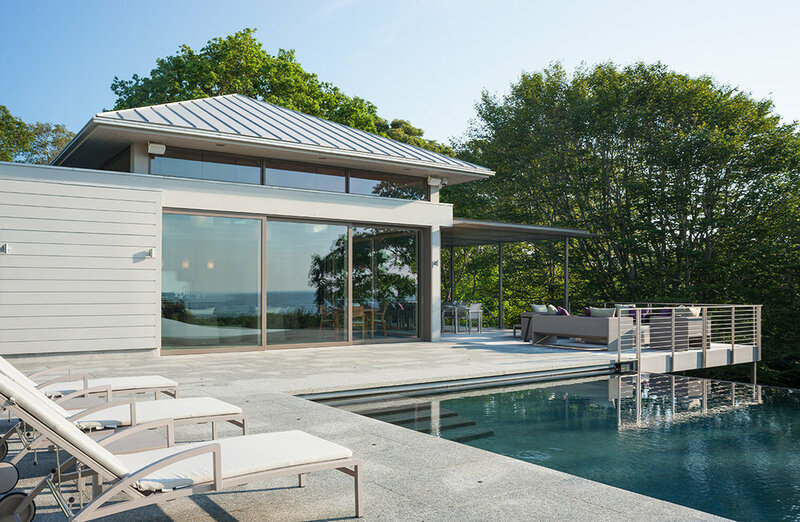 Reflecting the form of our previously designed screen porch roof, we proposed pocketing walls of glass and screens that respond to the climate, challenging the New England notion of interior and exterior space. The main room has a vaulted ceiling created from the pyramidal roof form which appears to float above the clear story windows. 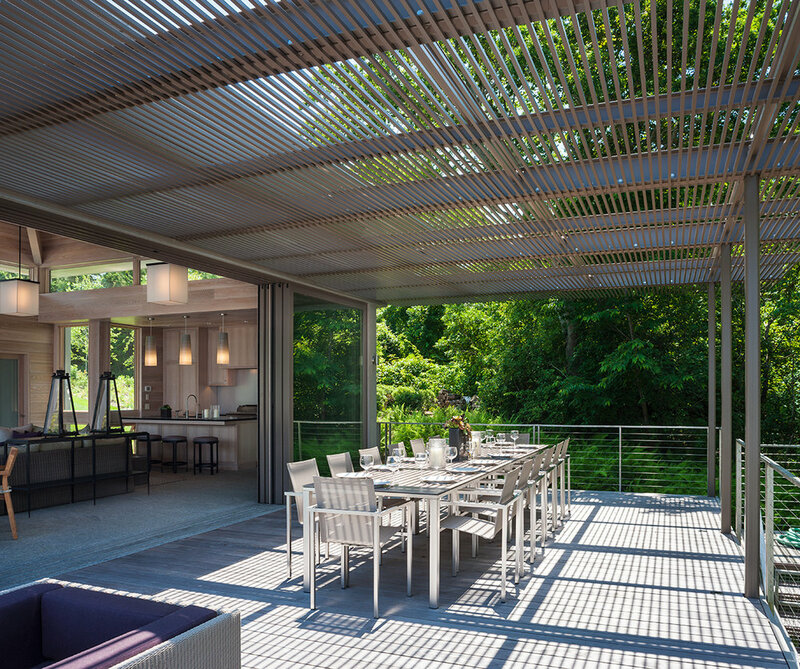 A trellis system over the outdoor dining, provides filtered light during the day. The door sills, exterior decking/patio, and interior floor are all flush to create a seamless transition between indoor and outdoor. 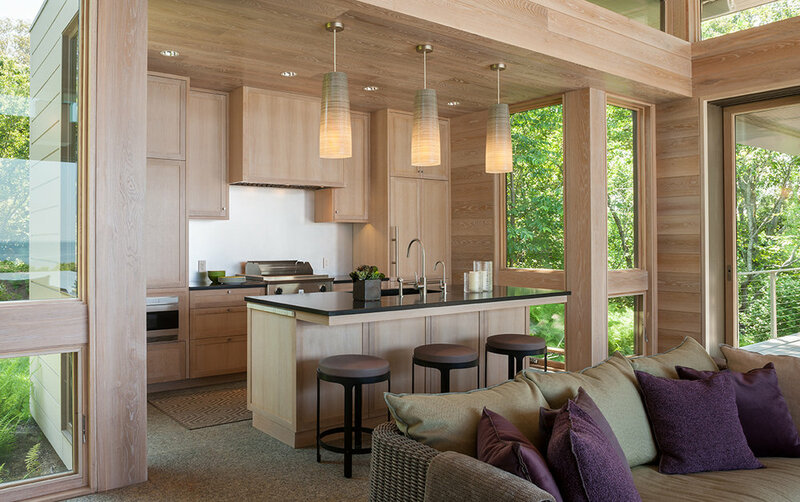 Matching shiplap wood boarded walls, wood ceiling, and kitchen cabinets create a quiet, minimal interior that celebrates the natural landscape beyond. 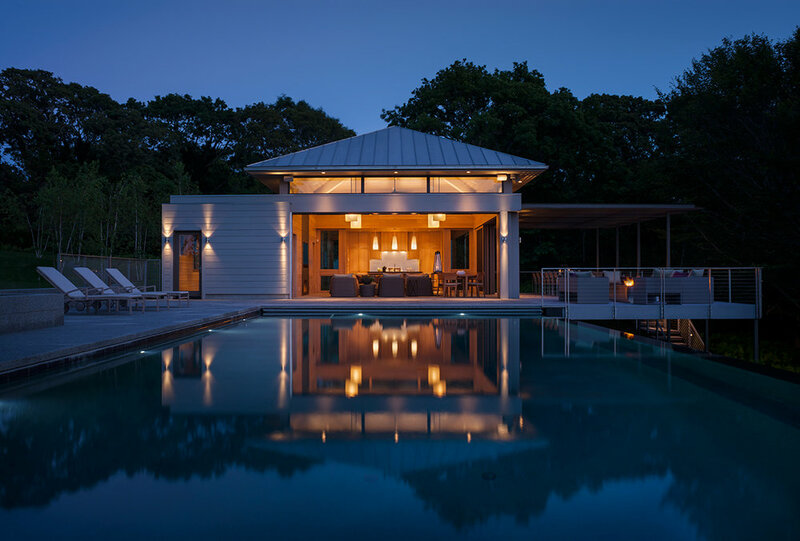 Contractor | Kistler & Knapp Builders, Inc.